My Guild name is Thieves-of-Anarchy ,we're 17/25 ,we're searching for players who have 30k min. 70k silver-leaguer looking for guild and/or friends. Please send direct message. Do you play hearthstone too? Well so do I! My handle in hearthstone is timmoti while the one in KOT is passthedynamite. Current amount for entry is 70,000. Our guild is top 1000 after only being formed 2 weeks ago. 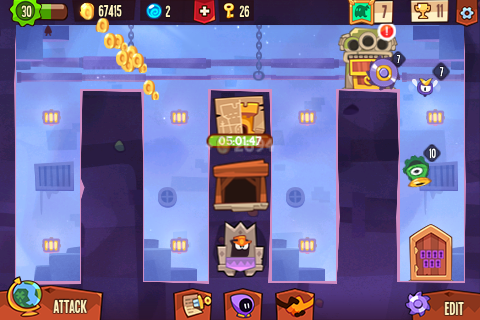 With the help of 9 more dedicated thieves, we can reach the top 200 in no time! Be active. We are only looking for active thieves that rob on a daily/hourly basis. KING KONG AIN'T GOT NOTHIN' ON US! Edited by urinbigtrubl, 06 April 2015 - 07:06 PM. 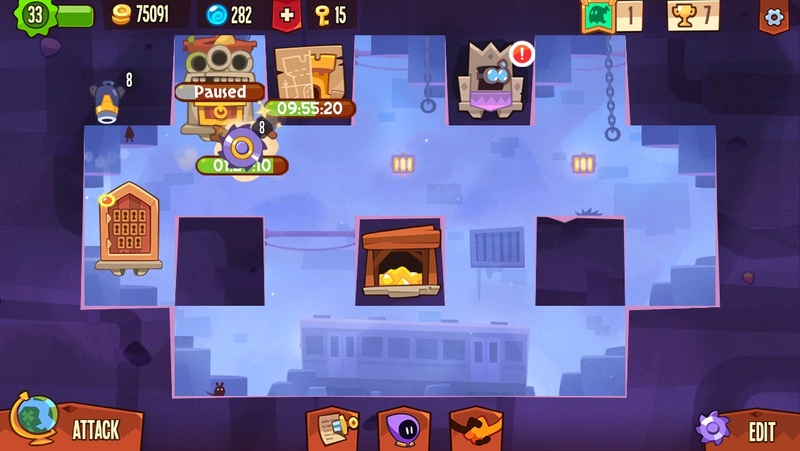 I've got 78k gems and want to start moving up the ladder! The guild name is "The Gruesome Twosome" if anyone is interested in joining!! A relatively new but keen player of this game? You should join: 'Sponge Out Of Water'! The limit is 60,000 and I hope that you can join today! Edited by Chaos, 09 May 2015 - 02:25 PM. Join Sierra 117, where you MUST be higher than me to stay in the guild. I'm probably growing 20 every week. I'm keeping it steady so people can try to outrun me. Right now we're small but we have big plans! My gems: 90k and rising. Min. Gem. cap: 80k as long as you raise to my lvl in a week. Join Arcturus. We are trying to get a wide variety of gem points in our guild. At the moment we have people representing anuwhere from 25,000 to 110,000! Requirement is 25,000.
any one know a good way to get 100 000 coins to make a guild because people keeps raiding my base and stealing thousands of coins. not to mention its happening really fast and constantly. I have a gem value of over 200,000 and i just made a guild called the "Beer Turdz" Whos in? Not in a good guild yet? Can I join anyone's guild? Edited by aseel65, 12 April 2015 - 08:50 PM. JohnDilingerGang now accepting recruits of any level. Autonomous efforts must be demonstrated through your dungeon mastery skills. Refining your materialistic, ritualistic garden in an exponential fashion that is reputable of a thieves guild. "Relax everyone, Where only interested in the banks money, we don't want your money!"